1:54 Contemporary African Art Fair hosts FORUM, an extensive programme of artist talks, panel discussions and lectures during its New York debut 15–16 May 2015. Forum will be held at Pioneer Works in Red Hook, Brooklyn alongside the fair 15–17 May. Curated by Koyo Kouoh, Artistic Director of RAW Material Company, FORUM aims to stimulate discussion and debate with some of the art world’s most inspirational players. The New York iteration looks to reexamine present and future notions of 21st century African diasporic identities as traversed, negotiated and performed in the arenas of intellectual, cultural and artistic practices. A special focus will be given to important voices active in these fields across the last 35 years. Admission to FORUM events are free with any ticket to 1:54 NY, Frieze NY, or a VIP Pass (1:54/Frieze), but guests must reserve their seats at 154.eventbrite.com due to a limited capacity. Artistic Director RAW Material Company and Curator of FORUM Education Program 1:54. Delivered by Margo Natalie Crawford, Associate Professor in the Department of English at Cornell University. Followed by a Q & A. This panel centres on cultural belonging in the artistic arena with discussants Naima J. Keith, Associate Curator at The Studio Museum in Harlem, New York; Rujeko Hockley, Assistant Curator of Contemporary Art at the Brooklyn Museum, New York; and artist Julie Mehretu. Moderated by Chika Okeke-Agulu, artist, curator, and Associate Professor in the Department of Art and Archaeology, and Center for African American Studies at Princeton University. Adrienne Edwards, Curator, Performa is in conversation with artists Hank Willis Thomas and Lyle Ashton Harris to consider the semantics of the term ‘diaspora’ in relation to contemporary art practice. Dexter Wimberly, independent curator and Director of Strategic Planning at Independent Curators International (ICI) is in conversation with artists Meleko Mokgosi and Lavar Munroe to consider the semantics of the term ‘diaspora’ in relation to contemporary art practice. Representing MoMA, Newark Museum and LACMA respectively are discussants Thomas J. Lax, Associate Curator in the Department of Media and Performance Art at The Museum of Modern Art (MoMA), New York; Christa Clarke, Senior Curator, Arts of Global Africa at Newark Museum; and Franklin Sirmans, Terri and Michael Smooke Curator and Department Head, Contemporary Art at the Los Angeles County Museum of Art (LACMA). 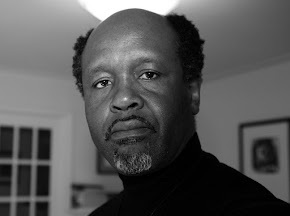 Moderated by Steven Nelson, Professor of African and African American Art History at University of California, Los Angeles (UCLA). Christian Haye, art dealer and Founder of The Project is in conversation with artist Melvin Edwards to discuss the historical and political legacies played by the pioneering galleries Just Above Midtown (JAM) founded by Linda Goode Bryant (1974-1986) and Haye’s The Project (1998-2009), as critical platforms for African and African American artists. Moderated by Ugochukwu-Smooth C. Nzewi, Curator of African Art at the Hood Museum, Dartmouth College, Hanover. With discussants Mariane Ibrahim-Lenhardt, Director of Mariane Ibrahim Gallery, Seattle, and Lisa Brittan, Director of Axis Gallery, New York. Moderated by Ugochukwu-Smooth C. Nzewi, Curator of African Art at the Hood Museum, Dartmouth College, Hanover. Body Talk: Feminism, Sexuality and the Body in the Work of Six African Women Artists (2015) with curator Koyo Kouoh and participating artist Marcia Kure.